The SIS4ERS DISTILLERY is the hottest new Gin distillery to hit Salford, Manchester and they are all about something different! 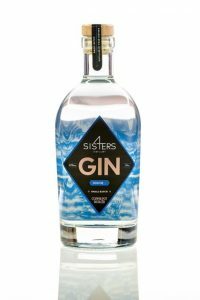 The SIS4ERS DISTILLERY is comprised of four sisters, all venturing into the world of gin, with their family distillery, but there’s more to them than meets the eye. The sisters also have seven brothers with a beer brewing business, SEVEN BRO7HERS BREWERY, collectively making them possibly the largest number of direct siblings in the alcohol industry in the world. The four sisters, Kerry, Hayley, Kate and Lucy, bring a plethora of career experience to the business from the education, business, finance and management sectors. Currently, Kerry and Hayley are both specialist teachers for Salford Authority, Kate is a full-time teacher and Lucy owns an Events Management business. Between all of the sisters, they also have 13 children, Kerry 4, Hayley 2, Kate 5 and Lucy 2. Building their business together is also about a legacy and conveying the heritage of their family values and strong sense of hard-work and achievement to their children. After supporting and encouraging their brothers in the start of their craft beer adventure, the sisters always loved the idea of doing something as a four and emulating their brothers’ success. 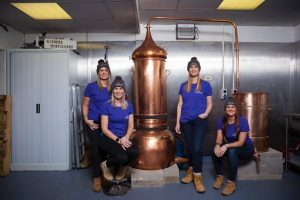 The timing had to be right and during a mother and daughters trip to Bath in the Summer of 2017, it cemented their ambition to open their own Gin Distillery. Lucy, sister number 4 said, “It just made perfect sense to set up a business in the alcohol industry. We could complement our brothers’ brand as well as building our own and together be a strong force within the industry”. The brothers are all incredibly excited about their sisters’ venture and believe they are going to be very successful. Keith, brother number 2, says, “To see our sisters starting their own business journey together is fantastic. We’re very excited for them and the future and will totally support them the whole way! The first bar to stock it will be our own Beerhouse in Ancoats, Manchester, for sure!”. Daniel, brother number 4, says, “The Distillery room within our brewery is brilliant and is becoming one of my favourite rooms on the brewery site! I can see the sisters overtaking us soon!”. After many months of research, the sisters chose to distil their Gin in the traditional method and commission their Copper Pot Column Still from The Copper Brothers in Portugal. They wanted to create an authentic, smooth and honest gin. It’s common in the industry to name Stills with a female name and after some thought they decided upon ‘Frederica’. Kerry explains, “Our parents are called Freda & Eric and have been a massive influence in our lives. When we were trying to think of a name, we wanted one with meaning and for it to be part of our heritage. We all read books by an author named Georgette Heyer and she writes about strong, family orientated, female characters. One is called Frederica and then I had a sudden thought that it was a combination of our parents’ names! It was one of those ‘light-bulb’ moments and was just perfect for us”. Frederica stands proudly in the SIS4ERS DISTILLERY, which is based within the SEVEN BRO7HERS BREWERY in Salford Quays, Manchester and is already proving to be a huge talking point, especially with the public that come along for the brewery tours. 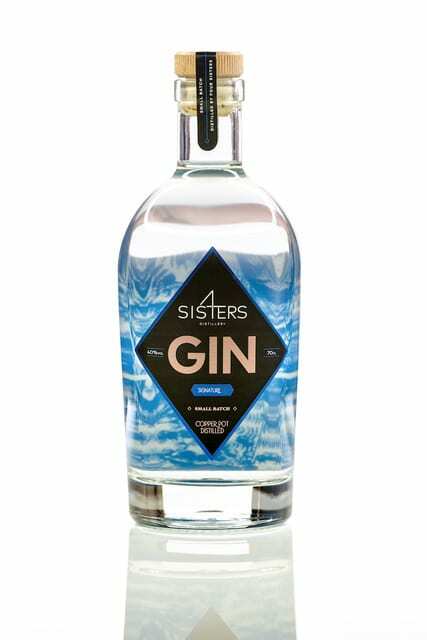 The SIS4ERS DISTILLERY have started their journey and launched with their Signature Gin in January 2018. The gin is a classic blend of botanicals including, Juniper, Coriander, Angelica, Orris, Cassia, Lemon & Orange, with also a hint of Blueberry. With savoury notes, it’s smooth and warm, leaving a subtle citrus flavour on the palate. Its smoothness derives from the long-distillation and vapour infused botanicals. The Signature Gin is currently available in 70cl bottles and is £38.00 RRP. Their latest product, Strawberry Edition, is perfect for summer, also in a 70cl bottle at 40% and is £39.00 RRP. You can purchase their Gin directly on the SIS4ERS DISTILLERY website at www.SIS4ERSDISTILLERY.com, BOOTHS Supermarkets, Holmes Mill and is widely available at many bars and restaurants. Gift sets and merchandise are also available to purchase on the website. They are looking to develop many more flavoured gins throughout the year, either as Special Editions or new permanent lines, so watch this space! As well as their products the SIS4ERS DISTILLERY will be looking to host their own Gin tasting events as well as Masterclasses and Gin making experiences.